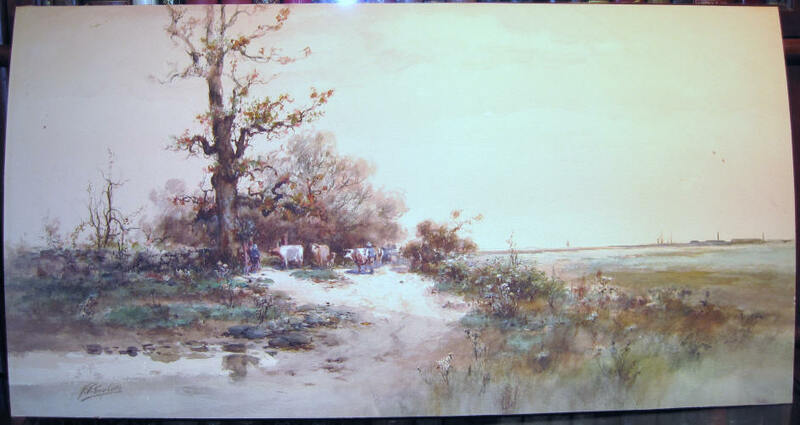 Description: Original watercolor on paper. Laid on board. Signed ‘F.F. English’ in the lower left area. Two pin head or slightly larger stains in the far right sky and two abrasions (from glass?) at the left of the tree in the sky.